Unitron is a Canadian hearing solutions manufacturer, however, they are owned by the Sonova Group which also owns Phonak. Unitron hearing aids have been traditionally overshadowed by Phonak, but they have come into their own over the last few years. They have introduced innovative new technology like the Flex concept and Log It All. Unitron hearing aids are split into five levels of technology, in real terms, it is four levels with a basement. 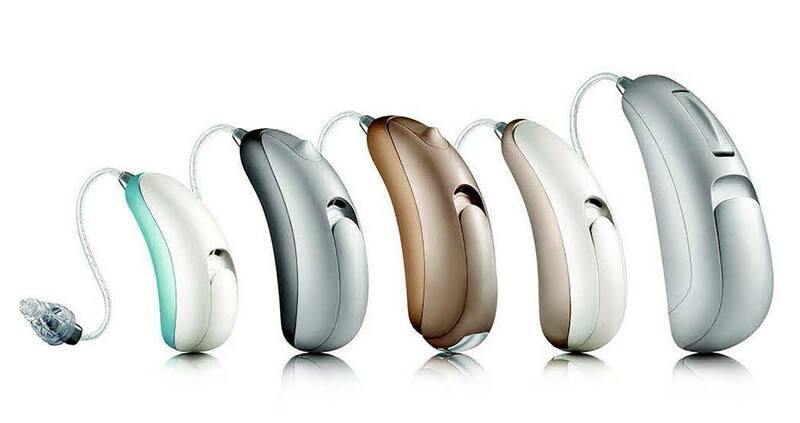 The levels of technology are designated with a number, in the new North Platform, the flagship hearing aids are designated Pro, then 900, 700, 600 which is the basic aid. However, as I said, they have a basement level which is designated the 500. Within each technology level, there are RIC / RITE devices they call Moxi and BTE and ITE devices they call Stride (in the North platform) or Quantum (the platform before) and now Insera in the Tempus platform. Yes, it confuses us sometimes as well. Let's take a look at their stuff. 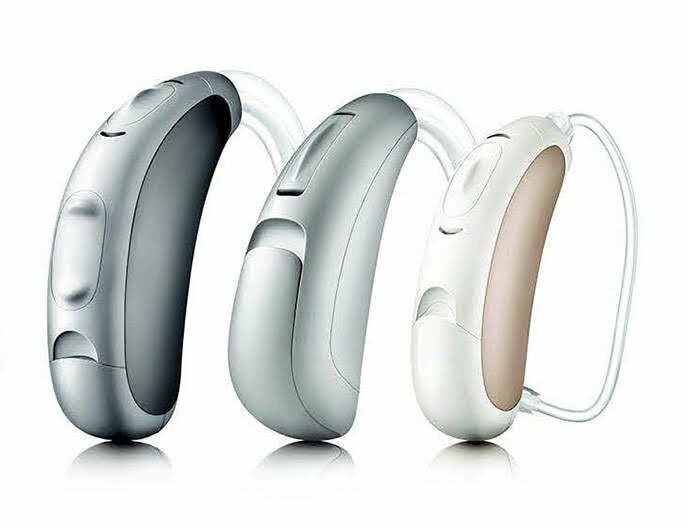 Unitron introduced the Tempus in early 2017, it is their latest groundbreaking hearing aid range that is focused on driving the conversation. 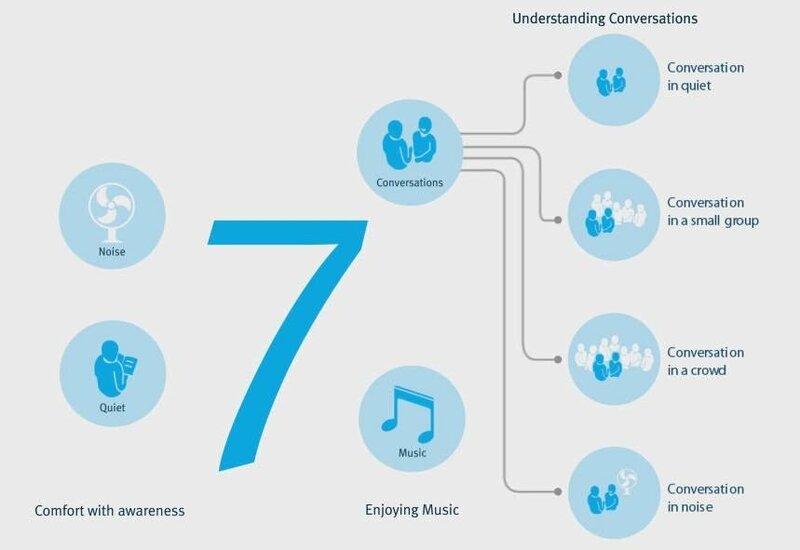 Unitron says that you spend nearly two-thirds of your day simply connecting with others through conversation, so it makes sense for them to focus on making sure you can do it with ease. You spend two-thirds of your day connecting with people through conversation. Unitron has made it their focus to help you do it with ease. Unitron say that Tempus is 50% more accurate than ever before. Delivering an outstanding experience in all conversations. Unitron's fastest hearing platform yet, delivering seamless changes at the speed of sound so you simply hear better. 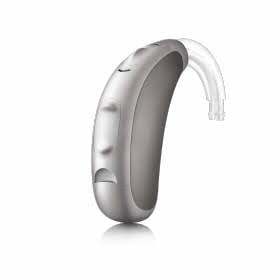 The new Tempus is available in RIC, BTE and ITE hearing aids making it a full line hearing aid platform. Using an infinite mix of seven sound situations, the Tempus delivers what you need no matter the situation. 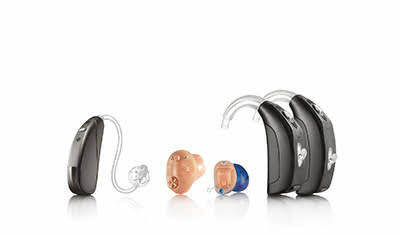 The new Tempus range is a full family of hearing aid solutions with five technology levels. This is truly groundbreaking technology that is focused on simply driving your conversations. Using a brand new technology strategy they call SoundCore, they aim to make sure you hear clearly no matter the situation. Using an infinite mix of seven sound situations, the Tempus delivers what you need to hear better no matter the situation.Whether sharing, laughing, debating, commiserating, or simply being a great listener, their intelligent SoundCore technology makes conversations more enjoyable. 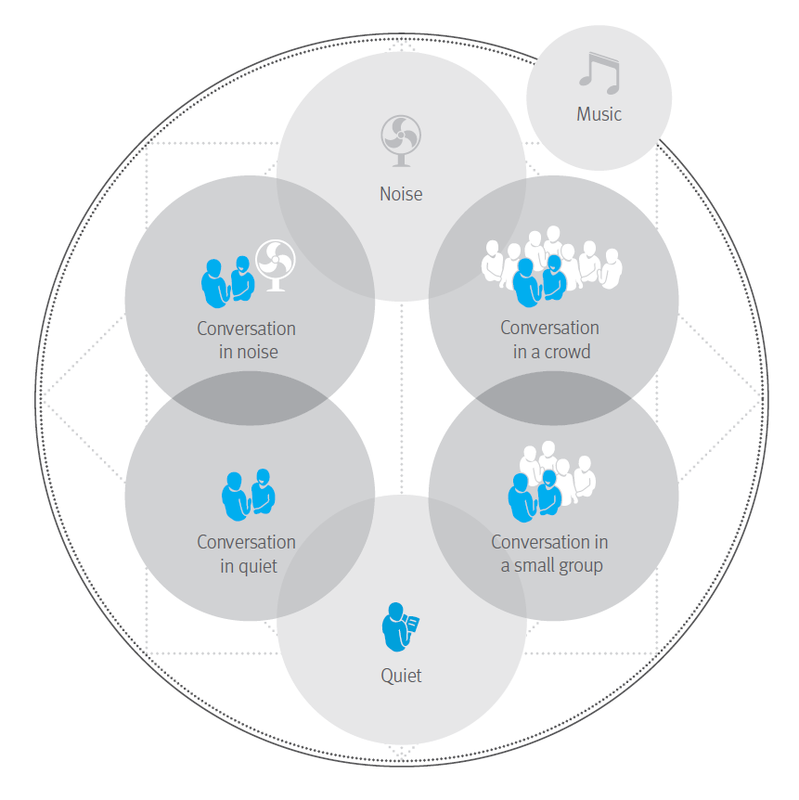 The four features work together seamlessly to understand your listening environment, making the instant, fluid adjustments that you need to actively participate in every conversation, no matter the situation. So you can simply get on with enjoying the conversation without worrying about anything else. T Pro – These premium hearing aids work together to automatically help you hear your best in all types of conversations. When background noise is high, your hearing aids will focus on speech from any direction. You will also enjoy effortless, natural hearing and enhanced music performance. T 800 – Both hearing aids communicate to automatically help you hear better in all types of conversations, especially when background noise is high. You will enjoy effortless, natural hearing and enhanced music performance. T 700 – Both hearing aids communicate to automatically help you hear better, especially when background noise is high. You will enjoy effortless, natural hearing. T 600 – These hearing aids automatically help you hear better in some types of conversations and when you are simply relaxing. 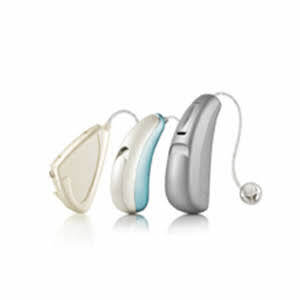 T 500 – These hearing aids help you hear better, especially in quieter environments. Our buying guide, no Bla, just clear easy to understand info, we guarantee it will help you pick the right hearing aid for you. Unitron has now introduced the custom in the ear hearing aid range on their new Tempus Chipset. Like their sister company Phonak, the Insera hearing aids will use Biometric Calibration, which takes your individual ear anatomy and hearing needs into account. They say that they will identify over 1600 biometric data points in and on your ear, and the unique calibration settings are calculated for each Insera hearing aid. In this way, the hearing aids are able to more reliably sense where the sound is coming from, thereby giving you access to better hearing performance. The Stride range is Unitron's BTE range of hearing aids, now updated with the latest features of the Tempus platform they offer outstanding performance with cast iron reliability. So you can connect with the conversation with confidence. Stride M: Style and discretion meet top-of-class power and comfort that’s second to none. Stride P Dura: Moisture resistance and durability. Stride P: Stylish design with dual controls for program and volume adjustments. Unitron has rounded out their rechargeable offerings with a new rechargeable BTE, the Stride M R. It is their first ever rechargeable behind the ear hearing aid. here is what they said. Wearers simply charge the hearing instrument overnight, for just 5 – 7 hours, and the hearing instrument is ready to perform for a full 24 hours, including 90 minutes of streaming or 16 hours of continuous streaming. Because hearing happens around the clock, Stride M R offers wearers the flexibility to swap rechargeable battery cells with traditional zinc-air batteries at any time, ensuring patients will never run out of charge. It appears that the new rechargeable runs on Silver Zinc rechargeable batteries and a similar charger to their Moxi. It also looks like they have made sure there is an auto on feature when you take the hearing aids out of the charger. Something that many users will welcome. The system that Unitron picked is a pretty good all round rechargeable system. It offers some pretty serious running time and also the benefit of being able to shove disposable batteries in when you forget to charge. The Moxi Range is already an outstanding range of Receiver in Canal hearing aids, Unitron has already delivered the smallest RIC hearing aid yet with the Moxi Now. With the Tempus range, they will now introduce the smallest rechargeable hearing aid ever. Unitron has picked silver-zinc battery technology (the safest rechargeable technology) which allows you to change out the battery with ease if you need to. It also means that you can use ordinary hearing aid batteries when you forget to charge them (we all know we will forget to charge them right!). With the introduction of the Moxi Fit R, Unitron now has both the smallest ever RIC hearing aid, and the smallest ever Rechargeable hearing aid in their line-up. 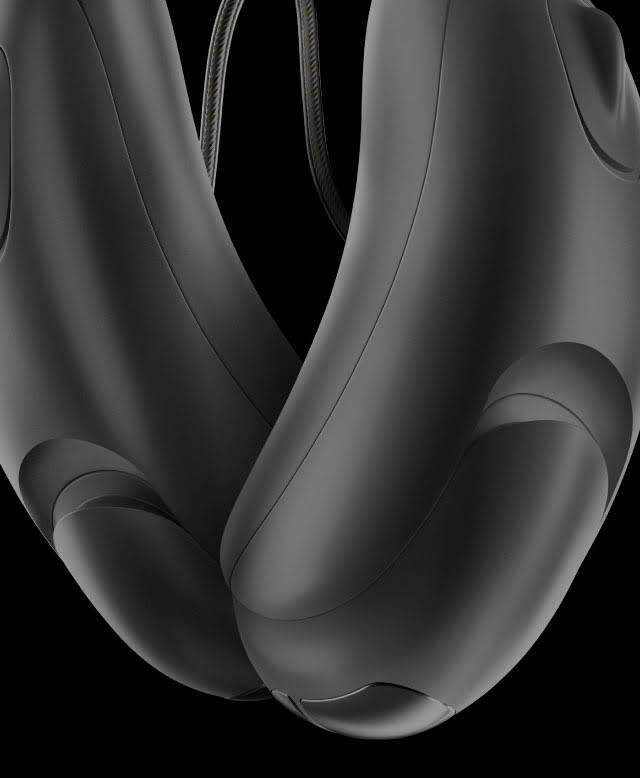 Their new rechargeable technology ensures that the system is forgiving, stable and very safe. Forget to charge your hearing aids and you can just slot in a disposable battery, no harm, no foul. On top of that, not only will the rechargeable option be available in every technology level it is also backwards compatible! If You own a Moxi Fit on the North Platform, You Can Make it Rechargeable by Simply Buying The Kit! With the introduction of the Moxi All, Unitron now offers a rechargeable Made For Any Phone hearing aid in their line-up. The devices will connect to any mobile phone that is Bluetooth enabled, offering a seamless mobile phone experience without a streamer. Their new rechargeable technology ensures that the system is forgiving, stable and very safe. Forget to charge your hearing aids and you can just slot in a disposable battery. Combining Made For All with rechargeable makes perfect sense, offering you complete freedom to make calls without worrying about power consumption. Moxi Now: The smallest wireless RIC in the world! Discretion, style and power, all in a tiny package. Moxi Fit: Style meets functionality with a 312 battery, push button and telecoil. 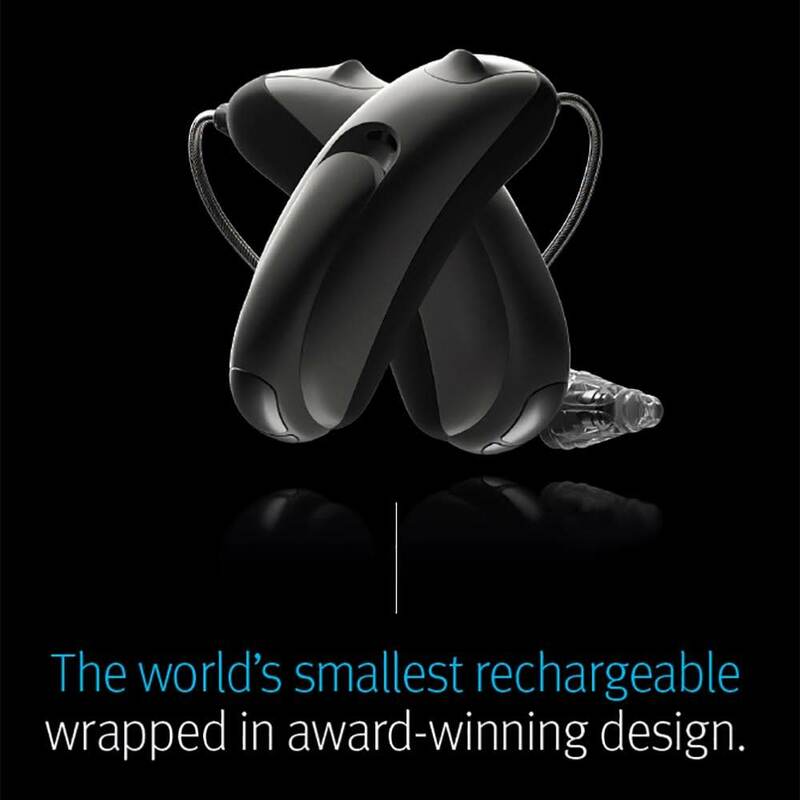 Moxi Fit R: World’s smallest (Starkey have now stolen that designation with the Muse iQR), most flexible rechargeable hearing aid wrapped in award-winning design. Moxi Kiss: Hard to resist with a 312 battery, enticing style and a fully automatic experience. Moxi Dura: Long-life 13 battery and durability that keeps up. Moxi All: Soon to be released Made For Any Phone hearing aids offering a direct connection to any Bluetooth enabled mobile phone. 1. Watch how-to videos to get more familiar with Your hearing instruments. 2. Change Your hearing instrument programs. 3. Control Your hearing instrument volume. 4. Rate Your hearing instrument performance in the exact moments they happen. These performance ratings are transferred to your professional, allowing them a greater understanding of how you are getting on. Our buying guide, ease the confusion with clear easy to understand info, we guarantee it will help you pick the right hearing aid for you. Our buying guide, easing the confusion with clear easy to understand info, we guarantee it will help you pick the right hearing aid for you. The North™ platform, was the last sound processing platform that Unitron launched, it can distinguish between different types of conversation. 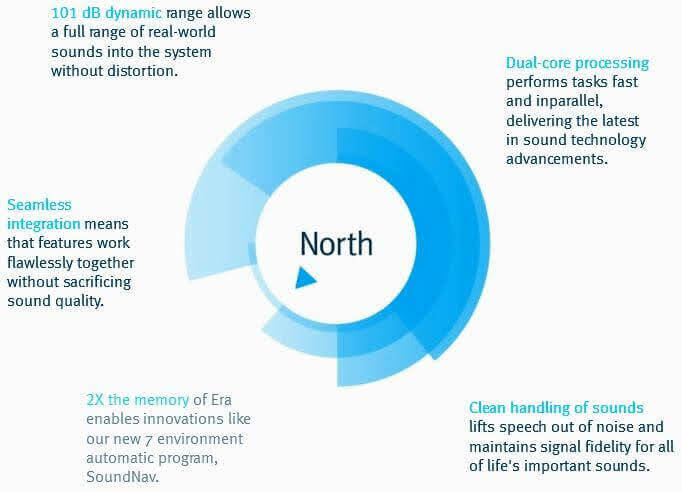 The key feature in the new North platform is Unitron's new SoundNav™, it is a technology that automatically identifies and classifies seven distinct sound environments. Four of them are focused specifically on conversation. 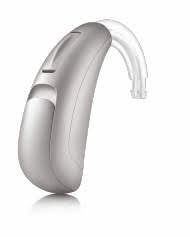 Unitron have also updated many of their existing features and introduced some brand new ones designed to help you hear speech clearly in every situation you face. The new Stride family of behind-the-ear (BTE) and in-the-ear (ITE) styles has style choices to satisfy every need, and technology that lets you focus on conversations like never before. Stride is the name of the new full range family of hearing aids from Unitron, the family has a full range of Behind The Ear and In The Ear hearing aid styles. The technology in the Stride family is based on the new North platform, they haven't settled on introducing a new platform though. New advances in custom hearing aid design has allowed them to introduce even smaller custom hearing aids with more onboard features than ever before. Along with the launch of the North platform, Unitron has announced it is introducing a new generation of its popular receiver-in-canal (RIC) Moxi™ hearing instruments. The all-new Moxi Fit™ continues the design principles used to deliver the Moxi design. It has a fluid new look, giving users the perfect combination of style and functionality with a 312 battery, push button and telecoil. Moxi Fit joins Moxi Kiss™ and Moxi Dura™, all available in five technology levels and all built on the North platform. The new Moxi hearing instruments on the North platform are fully integrated with Unitron’s industry-leading Flex:trial™ program, which allows hearing healthcare professionals send patients home with free trial hearing instruments, and Flex:upgrade™, which facilitates in-clinic technology upgrades as hearing needs change. Unitron have also introduced Log It All™, an industry first data logging feature that captures and displays a user’s experiences with their hearing instruments across seven environments regardless of the technology level of the hearing aid. This gives us the ability to measure the performance of hearing instruments in everyday use, as well as during trial and upgrade situations. It helps us explain the benefits of different technology levels in a personal way. It also allows us to deliver fine tuning in a more focused way. The Unitron North Pro is the flagship technology using the new "North" processor. As the flagship hearing aid from Unitron it is ideally suited to people who need to hear as well as possible in even the most challenging environments. The pro level of technology is available in both Moxi RIC (Receiver in Canal) devices and traditional BTE (Behind The Ear) and Custom devices (ITE) they have called Stride. Unitron know that conversations don’t just occur in quiet situations nor in just simple noise. The problem with background noise is that it varies greatly depending on the situation. The features in the new hearing aids work together so that you can experience the best speech understanding combined with natural sound quality, in the widest variety of situations, completely automatically. 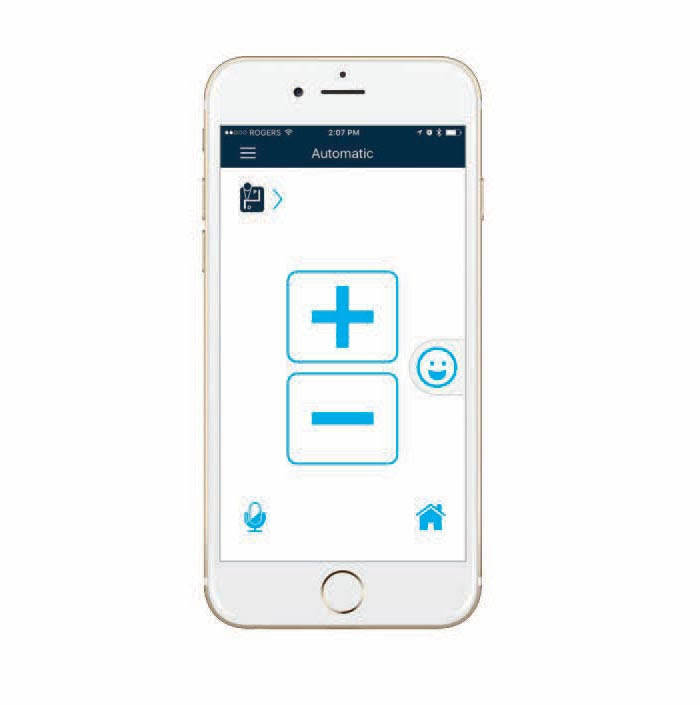 Unitron have also introduced Log It All™, an industry first data logging feature that captures and displays a your real life experiences with your hearing instruments across seven differing environments regardless of the technology level of the hearing aid. This gives us the ability to measure the performance of your hearing instruments in everyday use, as well as during any trial or upgrade situations. It helps us explain the benefits of different technology levels in a personal way. Most importantly, it allows us to deliver fine tuning of the hearing aids for you in a more focused way. The new Stride family of behind-the-ear (BTE) and in-the-ear (ITE) styles has style choices to satisfy every need, and features that let you focus on conversations like never before. Stride is the name of the new full range family of hearing aids from Unitron, the family has a full range of Behind The Ear (BTE) and In The Ear hearing (ITE) aid styles. The technology in the Stride family is based on the new North platform, Unitron haven't settled on just introducing a new platform. New advances in custom hearing aid design has allowed them to introduce even smaller custom hearing aids that are packed with more features. So let's look at the top end of hearing aid technology available from Unitron. Along with the launch of the North platform, Unitron also introduced a new geneneration of its popular receiver-in-canal (RIC) Moxi™ hearing instruments. The all-new Moxi Fit™ has a fluid new look, giving users the perfect combination of style and functionality with a 312 battery, push button and telecoil. Moxi Fit joins Moxi Kiss™ and Moxi Dura™, all available in five technology levels and all built on the North platform. The new Moxi hearing instruments on the North platform are fully integrated with Unitron’s industry-leading Flex:trial™ program, which allows us to demonstrate to patients exactly what they are interested in buying. As we said, the Moxi RIC hearing aids comes in three distinct styles. Moxi Fit The "Fit" is only slightly larger than the Kiss, it includes both a push button and onboard telecoil which isn't often available on smaller RIC aids. Moxi Kiss The "Kiss" is the slimmest and most discrete of the RIC options from UNitron, it is an exceptionally discreet option if you are not interested in the extra features which add size to the Moxi Fit and Moxi Dura. Moxi Dura The "Dura" is the most powerful of the three RIC devices available, it is slightly larger to provide the amplification needed. If you are looking for a discreet Moxi solution but have a severe to profound hearing loss then this is the device for you. The Stride hearing aids come in two BTE versions, and six custom ITE hearing aid types. Stride IIC The smallest hearing aid device available, truly invisible but with no wireless hardware. The North chip can tell what type of environment you are currently in and it will decide what settings to use depending on what it finds. When you are in a social environment with background noise present, the hearing aids work together and figure out what where the speech is coming from and they then automatically focus your hearing in that direction. This feature really delivers in those noisy environments. This tracks and suppresses unwanted background noises from varying directions. Again this feature really helps understanding in those noisier environments. The Pinna is the outside part of your ear and it helps you to hear better. 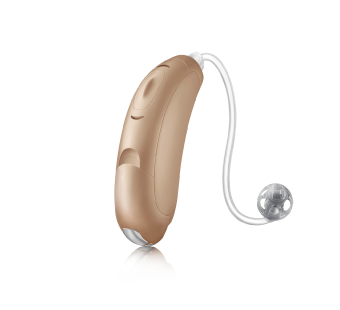 The hearing aid sits slightly behind the ear which interferes with that natural sense of hearing. Unitron use the Pinna effect technology to recreate the natural effects of sounds being collected by the shape of your ear to counteract this. The hearing aid acts immediately if it detects a loud or jarring sound to reduce it to a comfortable level. When you answer the phone, the hearing aid streams the sound to both ears without the use of an extra accessory so you can hear the conversation in stereo. The North platform includes a range of other features including Log it all, Natural sound balance, datalogging, Feedback manager, Windcontrol, Tinnitus masker, Easy-t, Duo-link, Flex system and Frequency Compression. The Unitron North 800 is the second to top technology level using the "North" processor. As a high end hearing aid it is well suited to people who need to hear in challenging environments. This hearing aid technology level is available in three different RIC styles and the full range of traditional BTE and ITE styles. Improves speech understanding in noise by focusing on sounds in front of you and tracking and suppressing multiple background noise sources. The North 800 has a lot of other features which would stretch this article to be a bit on the long side so we have summarised here with a list. Log it all, Flex system, Natural sound balance, Duo-link, datalogging, Easy-t, Feedback manager, Tinnitus masker, Windcontrol. If you need further details then feel free to email or call us. 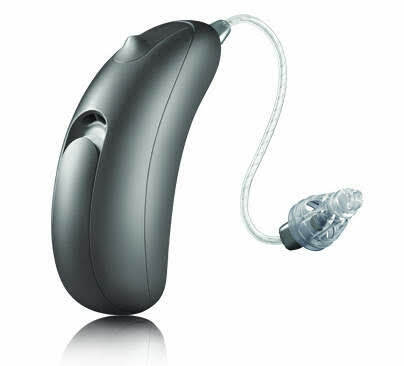 The Unitron North 700 is the mid level technology level using the "North" processor. As with the rest of the range this hearing aid technology is available in three different RIC styles and a range of BTE and ITE styles. The North 700 has a lot of other features which would stretch this article to be a bit on the long side so we have summarised here with a list. Log it all, Flex system, Automatic Adaptation Manager, Frequency, Natural sound balance, Duo-link, datalogging, Easy-t, Feedback manager, Tinnitus masker, Windcontrol. The Unitron North 600 is the lower mid-level of technology in the new "North" range. It is suited to people who have a fairly quiet lifestyle but need to hear well in slightly noisy social environments. The North 600 has a range of extra features including Feedback manager, Automatic Adaptation Manager, Windcontrol, Log it all, Natural sound balance, datalogging, Tinnitus masker, Easy-t, Duo-link, Flex system & Frequency Compression. 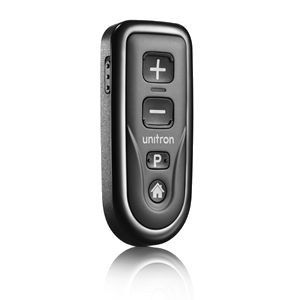 The Unitron North 500 is the entry level of technology in the "North" family of hearing aids. It is for people who lead a fairly quiet life. The North 500 has a range of extra features including Feedback manager, Automatic Adaptation Manager, Windcontrol, Log it all, datalogging, Tinnitus masker, Easy-t, Duo-link, Flex system & Frequency Compression. In nature, two ears must work together to truly know the direction of speech. In hearing instruments, the same principle applies. The only way for hearing instruments to reliably determine the direction of speech is for them to continuously work together, analysing the surrounding sound environment. Moxi² Pro and Quantum² Pro hearing aids do this through a feature called binaural spatial processing. Seamless automatic performance plus the innovative technologies in the next generation Pro hearing instruments ensure that you effortlessly experience incredible natural sound, less distraction from everyday noises, and superior speech understanding, even when the environment is very noisy. All of this just happens, everywhere they go, all day long. Listening doesn’t get much better than this. The 4-destination Automatic Program in Pro works with SmartFocus™ 2 to provide easier, better listening in all situations. Speech sounds clearer in noise. Music has beautiful, rich tones. Distracting noises are minimised when it’s quiet. You experience the pleasure of natural listening, no adjustments required. Moxi² digital hearing aids offer enhanced technology at five levels, with the premium Pro option providing the ultimate listening experience in all sound environments. A choice between three RIC styles, including the inspired design of Moxi2 Kiss and the robust Moxi2 Dura, gives more flexibility to meet the unique needs and preferences of everyone. 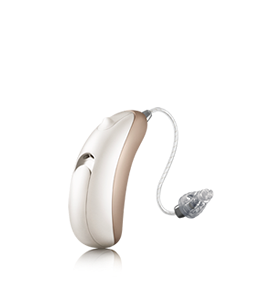 A complete set of features takes satisfaction even higher, with innovations that create the best first fit experience, all wrapped in the natural sound that only the Unitron can deliver. From noisy restaurants to quieter conversations, and everything in between, Moxi² hearing aids deliver the natural sound quality that people prefer. You can choose between five levels of technology, each offering a mix of hearing aid types and features to go perfectly with your lifestyle. The Moxi² family is a Receiver In the Canal (RIC) hearing aid family. It has three device form factors and it also comes in varying levels of power giving real versatility and choice for the Consumer. Delivering comfortable listening and natural sound quality combined with better speech intelligibility in noise. These are the areas where the Moxi² family of hearing instruments provide features that will make a real difference to you. These technological advances deliver key benefits, providing greater satisfaction from day one and acceptance that lasts for the long term. Quantum² is the next step in high-fidelity, natural sound from Unitron. This next generation of digital hearing instruments includes Pro, the premium technology level that provides the ultimate listening experience in all sound environments. As a full line family Quantum is available in a complete lineup of ITEs and performance BTEs, Quantum² delivers a comprehensive set of features to provide natural listening and the best first fit experience from Unitron for you. The move up in natural, comfortable listening that Quantum² delivers is powered by Era, the platform that makes great things happen. From noisy restaurants to quieter conversations, and everything in between, Quantum² hearing aids deliver the natural sound quality that people expect. Choose between one of five levels of technology, each offering a mix of hearing aid types and features to go perfectly with your lifestyle. The Quantum² family has both Behind The Ear and Custom devices and It also comes in varying levels of power giving exceptional versatility and choice for the Consumer. Quantum² offers enhanced technology at five levels, with the premium Pro option providing the ultimate sound experience in all environments, automatically and without fuss. With a real choice between styles, the family gives more flexibility to meet the unique needs and preferences of every user. A complete set of features takes satisfaction even higher, with new Unitron innovations that create a fantastic first fit experience, quality sound and comfortable listening. Natural sound quality and better speech intelligibility in noise. These are the areas where the Quantum² family of hearing instruments provide features that will make a difference to you. These technological advances deliver key benefits, providing greater satisfaction from day one and acceptance that lasts for the long term. The range of Quantum² BTE styles gives the versatility to meet most hearing losses. The Quantum² S is a super durable device taking a size 13 battery with push button and telecoil. The Quantum² HP High Power taking a size 13 battery, a push button, volume control and telecoil. there’s a Quantum² BTE that’s just right for you. Choose from a complete range of Quantum² ITE styles, from the smallest micro CIC to Full shell. With a full complement of profiles and battery sizes, there’s a Quantum² ITE that’s just right for you. Unitron hearing instruments pass IP ratings. The IP test is a third-party standardised protocol used to demonstrate the durability of a hearing instrument when exposed to dust and water. All of the Unitron BTE and RIC products have undergone and passed this rigorous IP testing. These ratings give you the peace of mind that your Unitron hearing instruments will continue to perform as expected even when exposed to harsh elements. It is important to note that IP57 denotes water resistant - not waterproof. Hearing instruments should never be worn in the shower or swimming, however, this rating means that an accidental drop into the sink, getting caught in a rainstorm, or stepping into the shower for a moment with them on will not be detrimental to performance once the devices are thoroughly dried out. This remote is perfect for those who want discreet, straightforward control over the essential features on their digital hearing instruments. 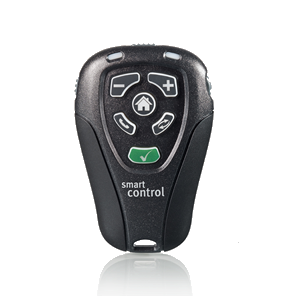 This remote control lets you easily make a wide range of adjustments to your hearing aids, including comfort and clarity.